KMS works by renewing a license every few months (default 180 days – in this special case, it’s 38 years, hence “KMS38”). It is a legitimate Microsoft tool heavily used in enterprise and education scenarios. KMS piracy simply redirects KMS to a fake KMS server which will always return a positive response. When attempting to switch from default KMS to KMS38™ (LongLife) activation, run the KMS38 process by selecting from the drop-down-menu, then; if no Office is installed repeat process in ‘Clean’ mode (same menu), if Office is installed use ‘Rearm’. It’s actually quite simple and doesn’t mess with any system files and leaked (*errrm stolen) keys. Download the file hwid.kms38.gen.mk5.7z to a folder which is excluded from all antivirus programs. Extract the contents of the archive into the folder where you downloaded the file with WinRAR, 7-zip or an archival tool of your choice. Double click on the file hwid.kms38.gen.mk5.exe. After selecting a Mode click on the “Start” button in the bottom left of the window. Wait for the process to finish – you can check the status at bottom of the log window. Go to Settings > “Update & Security” > “Activation” to check windows is activated. Close the hwidgen application window. You do not need to restart your computer. How do verify that this isn’t malicious? A manual method is documented here which shows you how it works. It’s a trusted and commonly mentioned tool on /r/Piracy. If you are worried that the files have been tampered with, you can check the hashes against the ones above. What is the difference between HWID and KMS38 activation? 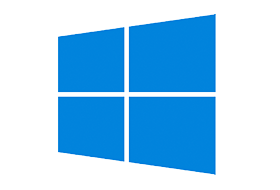 HWID (Windows 10 only) is permanent digital license activation tied to your motherboard. Upgrading from Windows 7 (legitimately activated / pirated) will generate one on your PC for free. Keys you buy from Microsoft legitimately work the same. HWID activation survives re-installs of windows as well, and if you sign into your Microsoft account on a HWID-activated install, then change your motherboard or other hardware extensively, re-install Windows and lose activation, you can just sign back into the Microsoft account on your PC and Windows will be activated. HWID piracy (hwidgen) works by using parts of your system to generate a ticket to get a key, then installing that key. October 2018: Windows 10 LTSB / LTSC editions no longer support HWID activation, so a 38 year KMS license (KMS38) is used, and it does not require an internet connection. All other editions still support HWID, only LTSC is (like LTSB 2015/6) a special case where each needs it’s own license and the new LTSC doesn’t offer HWID support anymore. TL;DR: LTSC and Servers are the only editions with no HWID support, ALL OTHERS STILL SUPPORT HWID. The process actually uses a fixed date since going farther then jan 2038 breaks the Licensing, for reasons only MS knows, but that shouldn’t be any issue for the near future. Does this work if my PC is already activated with MSToolKit or similar? While the tool attempts to uninstall existing keys, it may not. Be sure to uninstall all other activation beforehand through the tool you used. Can you activate office too? or is there another kind of more reliable office activation than KMS?